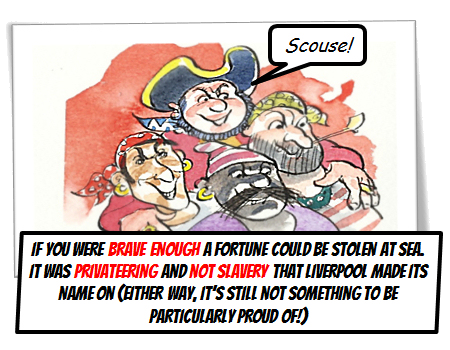 Pirates exited in Liverpool in the 1700s, but not the type shown in modern day Disney films. 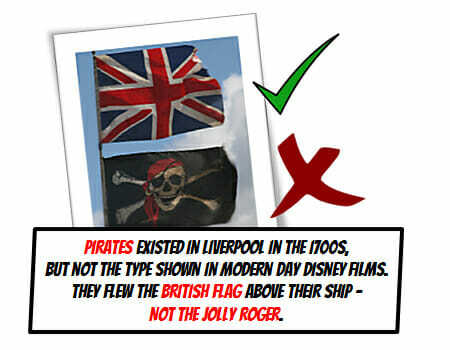 They flown the British Flag above their ship and not the Jolly Roger. 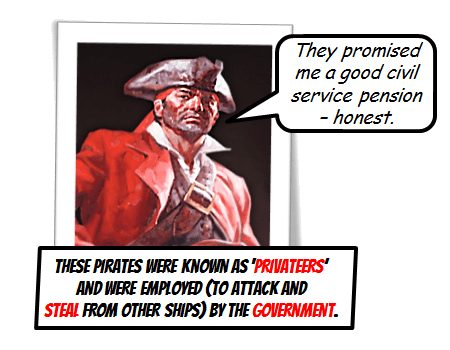 These pirates were known as Privateers and were employed (to attack and steal from other ships) by the government. 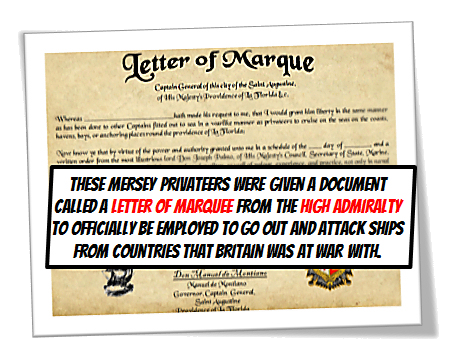 The Liverpool Privateers were given a document called a Letter of Marquee from the High Admiralty to officially be employed to go out and attack ships from countries that Britain was at war with. 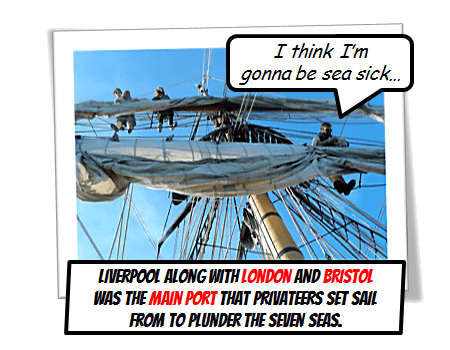 Liverpool along with London and Bristol was the main port of Privateers to set sail from to plunder the seven seas. The Privateers had huge industrial sailing ships equipped with 20-30 cannons on them and often over 100 men. 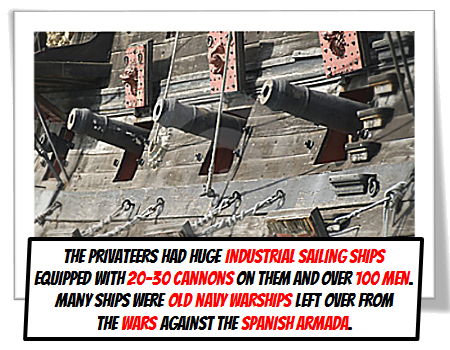 Many ships were old navy warships left over from the wars against the Spanish Armada. 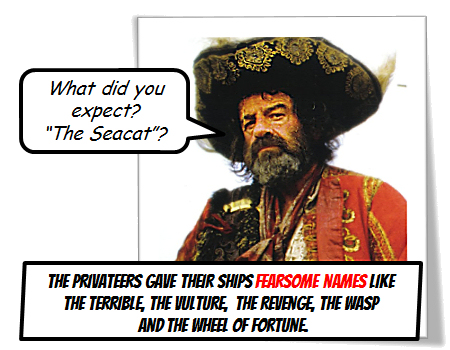 The Privateers gave their ships fearsome names like The Terrible, The Vulture, The Revenge, The Wasp and the Wheel of Fortune. 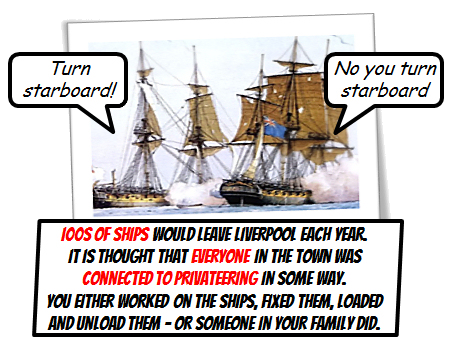 100’s of ships would leave Liverpool each year and it is thought that everyone in the town was connected to Privateering in some way. You either worked on the ships, fixed them, loaded and unload them or someone in your family did. 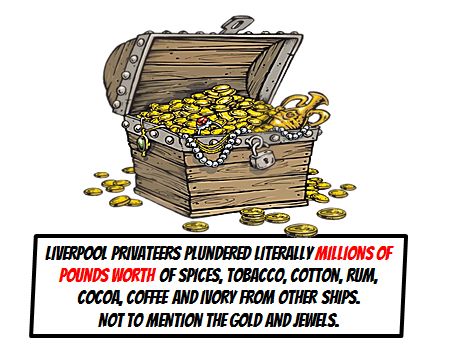 Liverpool Privateers plundered literally millions of pounds worth of spices, tobacco, cotton, rum, cocoa, coffee and ivory from other ships. Not to mention the gold and jewels. 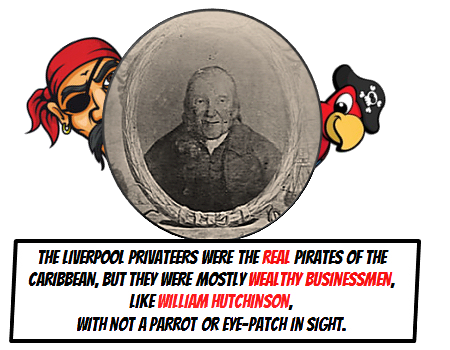 The Liverpool Privateers were the real Pirates of the Caribbean, but they were mostly wealthy businessmen, like William Hutchinson, with not a parrot or eye-patch in sight.